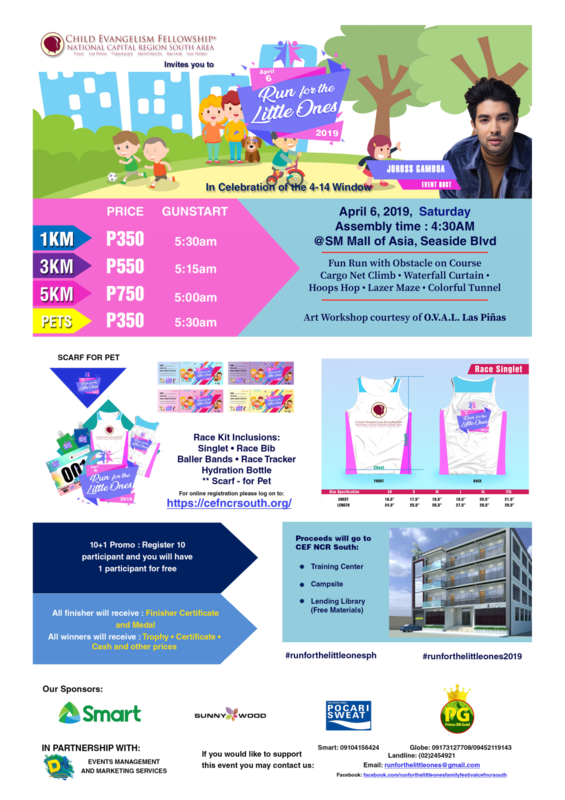 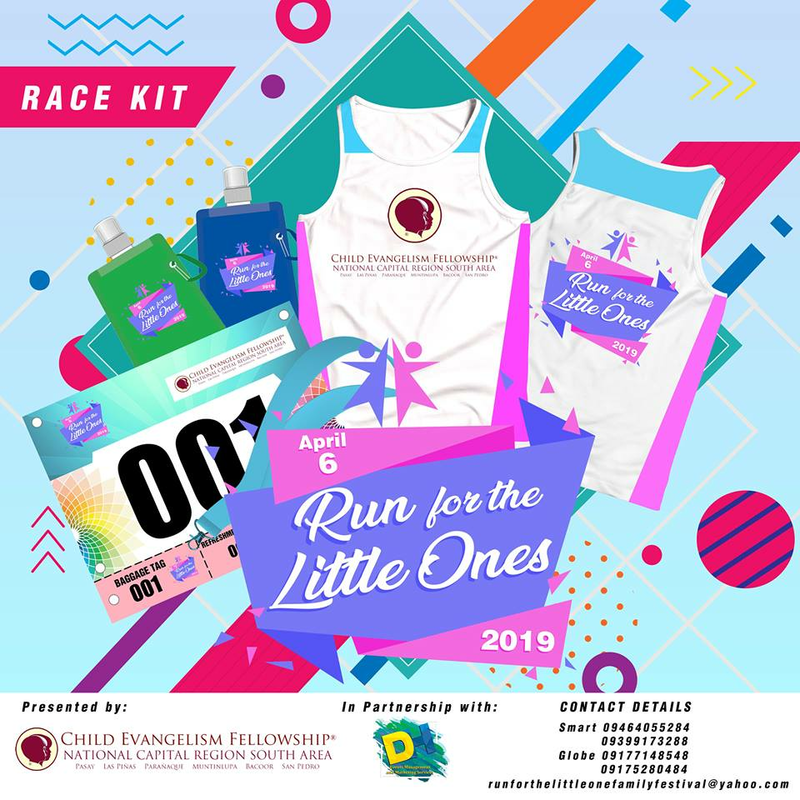 Child Evangelism Fellowship (CEF) NCR South will be hosting a special event called “Run for the Little Ones,” to be held on April 6, 2019 at SM by the Bay, Diokno Boulevard, Pasay City. 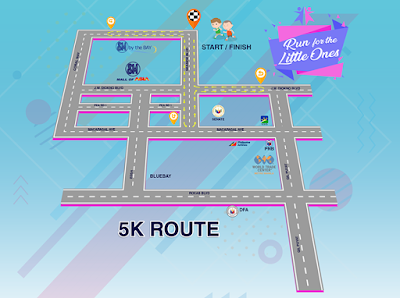 This event is a one-day activity that consists of Fun Run with distance of 1KM, 3KM and 5K. 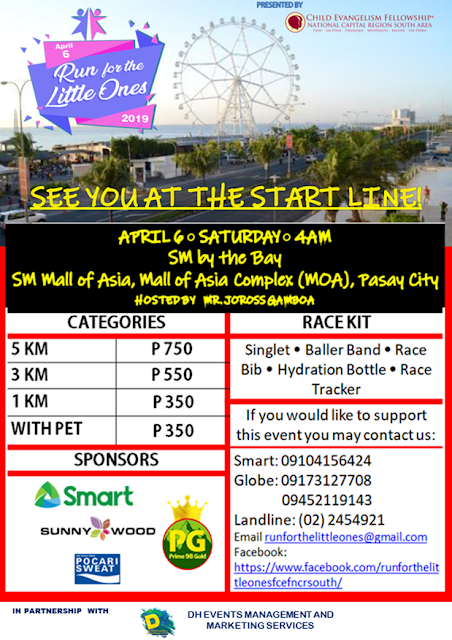 Individual can run either with their family, friends and/or with their pet dogs if they desire to. The day’s event will be followed by Car Show, Education Opportunities for family and all ages & a Social Awareness that will be conduct by Philippine National Police Officer. In partnership with Smart, Sunnywood, Pokari, and Prime98 Gold, the “Run for the Little Ones” will help raise awareness of the vital role of the family and community in the upbringing of children, as well as help of CEF NCR South. Also through this Run, the amount will be raise will go to the construction of CEF NCR South Children’s Center, which will be used for the training of the hundreds of volunteers, production of free materials, and a regular site for the Children’s Camp. To know more about the “Run for the Little Ones” please contact Child Evangelism Fellowship (CEF) NCR South at 77 Lovely Rd., BF Homes, Almanza Dos, Las Piñas and look for Mr. Elmer Raniola. 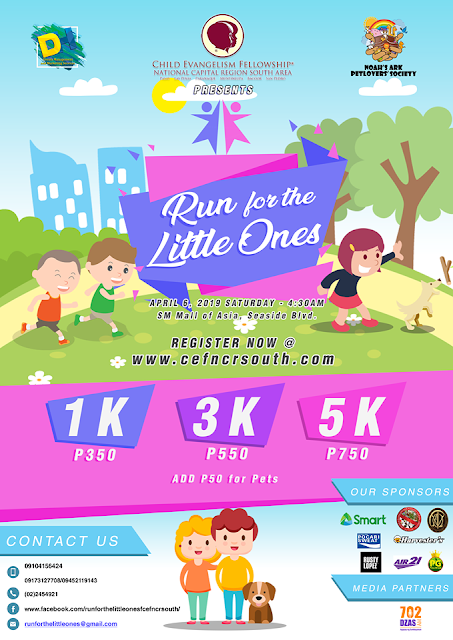 You may also send your inquiries via email at runforthelittleones@gmail.com.